Saint Laurent metallic leather sandals. 4.7" stiletto heel with platform. "Hall" is made in Italy. 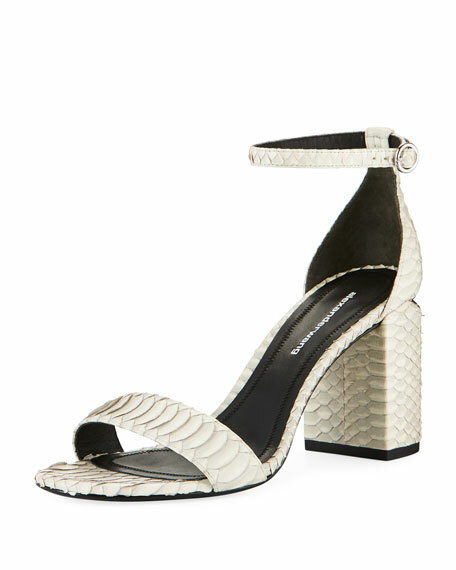 Alexander Wang snakeskin sandal. 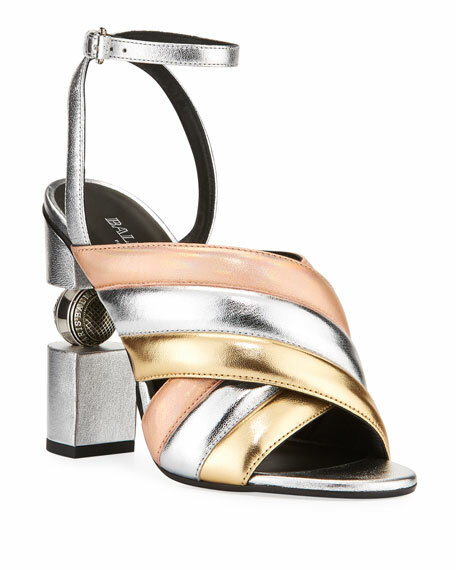 3.1" block heel with signature tilt-effect metal plate. Wide band over open toe. Adjustable ankle-wrap strap. Leather lining and sole. "Abby" is imported. 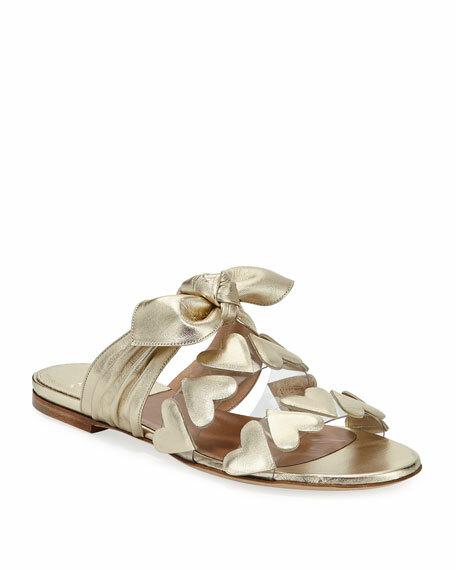 Laurence Dacade metallic leather sandals with heart appliqus. Flat stacked heel. Open toe. Knotted detail at upper. Slide style. Leather lining. Smooth outsole. "Teresa" is made in Italy. Exclusively ours. Mercedes Castillo two-tone suede and leather sandals with large studded bow. 2.4" stacked block heel. Open toe. Adjustable ankle strap. Leather lining and sole. "Tila" is made in Brazil.